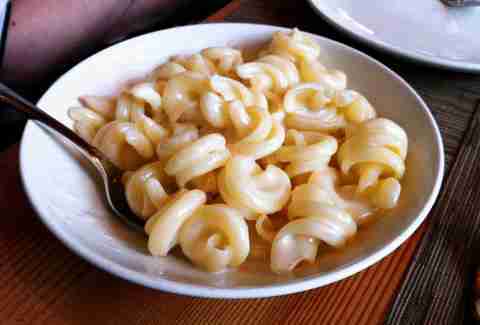 Mac and cheese is the world's ultimate comfort food, but it can't do its job and briefly distract you from all the bad decisions you've made recently if you don't know where to get a decent bowl. 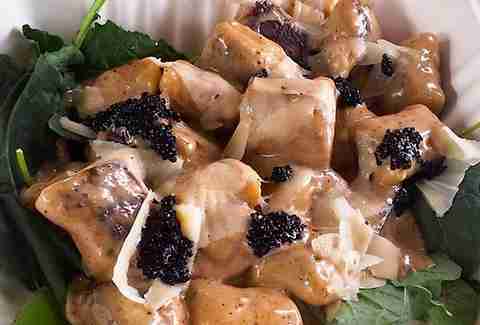 To that end, we scoured Stumptown for the sweetest macaroni-based dishes, tried them all, then took a nap, and finally assembled this list of Portland's most delightful dairy-smothered dishes. 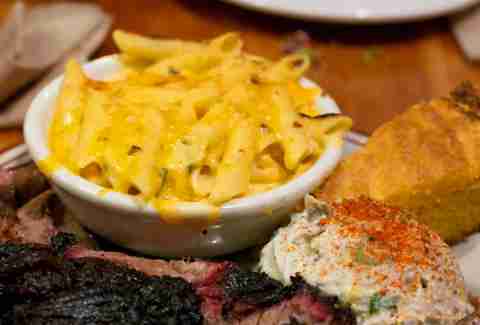 It's no surprise that one of the country’s best barbecue joints throws together a mean mac and cheese: this rich, Bechamel-based beauty is laced with green chiles, which give it some Southwest-y smoke, and is the perfect thing to eat with their brisket. 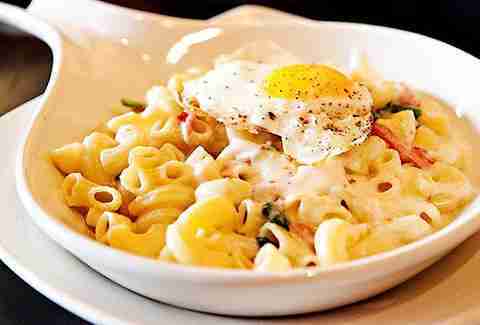 Flying under the radar, Davis Street does mac and cheese right. 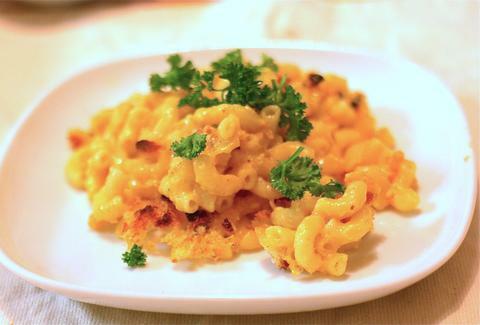 No fancy talk, just a thick, three-cheese sauce clinging to pasta that's like macaroni squared -- the oversized pieces have deep ridges that catch and hold onto the perfectly textured cheese blend. DaP has a lot going for it: huge windows overlooking a rapidly developing part of the city, killer craft cocktails from some of the best bartenders in town, and a young-ish crowd that looks/acts like they all just got a philosophy degree from Reed, so why even bother with food? Just throw some frozen chicken strips in the fryer and call it good. Nope, this jalapeno- & caramelized onion-topped pile of cheesy goodness is just one of the winners on their menu, and at $5 during happy hour, even philosophy majors can afford it. 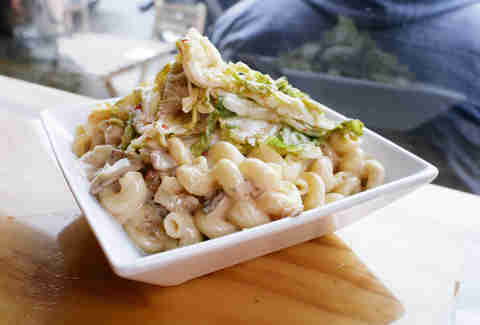 Of course there’s a mac and cheese cart that sells... ugh, a vegetarian and vegan version of this normally-not-at-all-vegan classic, but their take on mac (it's basically a salad minus all the greens, plus creamy pasta) is surprisingly glorious, so it made our list anyway. 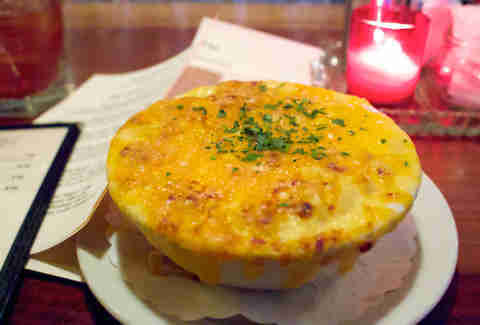 You already know this NE bar has some of the best food in town, so it's no surprise that their mac and cheese w/ house kimchi is also pretty epic, especially since you can get fried chicken served on top, which, if you hadn’t just eaten four other bowls of mac, would be a sweet idea. 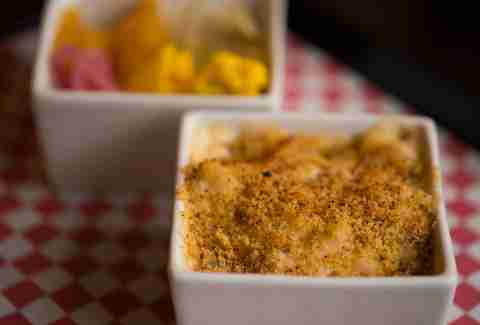 With over 17 varieties of every kid’s favorite dish, including, but not limited to, macaroni and cheese burritos and fried balls of mac and cheese, this is the kind of place where you come for the food and stay because you passed out after half-a-dozen servings. This badass NW BBQ joint puts serious care into their side, as evidenced by a perfectly sprinkled bread crumble on top that soaks up just enough of the cheese to retain some crunch, but leaves a soupy mess on the bottom you can soak up with another of their awesome accompaniments: cornbread. 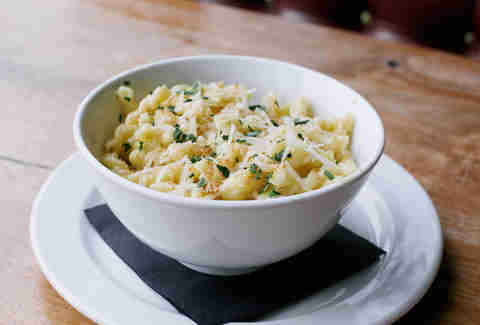 The only real, classic mac and cheese on the list, this sucker comes with a thick, crispy crust that threatens to encapsulate the entire bowl, meaning you can take the time to finish your fried chicken, and still have a steaming, hot bowl of cheesy goodness waiting when you're done. Pro-Tip: ordering a porch pounder lemonade to wash it all down would be an uncharacteristically good decision.